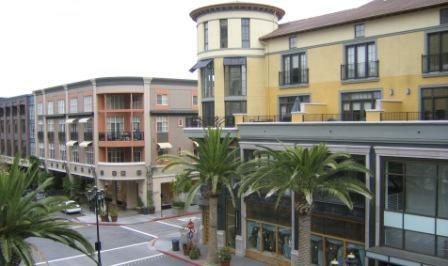 Mixed Use development opportunities in New Model colony areas. Ontario sits at the base of the San Gabriel Mountains and is traversed by three freeways, three rail lines and two state highways and contains an international airport. For many, the primary image of Ontario is shaped by what is seen from these transportation systems. Enhancing these transportation corridors to provide aesthetically pleasing visual experiences will make people want to experience more of what Ontario has to offer. Ontario is uniquely situated to achieve its Vision of becoming Southern California’s next urban center due to both its strategic location and the region’s need to accommodate anticipated growth in a manner consistent with smart growth principles and regional sustainability goals. The City’s physical form will set it apart from suburban communities in the Inland Empire. New urban nodes, including the Ontario Airport Metro Center which will serve as the region’s icon, will enhance the City’s image and identity within the state and nation. Despite the urbanization of these nodes, most of the City’s neighborhoods and districts are not slated for intensification, but will share in the benefits of this growth. These special places are part of what make Ontario a unique community with a breadth of choices for people to live, work and play. The City is committed to preserving and protecting these neighborhoods while finding ways to enhance and embrace the special character of each. A dynamic, progressive city containing distinct neighborhoods and commercial districts that foster a positive sense of identity and belonging among residents, visitors, and businesses. City Identity. We take actions that are consistent with the City being a leading urban center in Southern California while recognizing the diverse character of our existing viable neighborhoods. Growth Areas. We require development in growth areas to be distinctive and unique places within which there are cohesive design themes. Neighborhood Improvement. We require viable existing residential and non-residential neighborhoods to be preserved, protected, and enhanced in accordance with our land use policies. Transportation Corridors. We will enhance our major transportation corridors within the City through landscape, hardscape, signage and lighting. View Corridors. We require all major north-south streets be designed and redeveloped to feature views of the San Gabriel Mountains, which are part of the City’s visual identity and a key to geographic orientation. Such views should be free of visual clutter, including billboards and may be enhanced by framing with trees.